The famous viral "mermaid" picture. Sadly, where it came from. Some folks, from some of my posts, may think that I'm just some gullible hick who believes everything he sees posted on the Internet. Well, I may be a hick, but I'm not gullible! 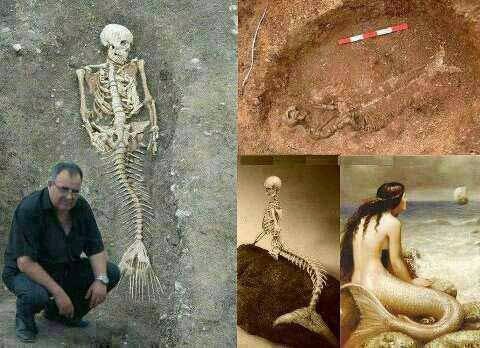 Above is the famous "mermaid" picture that has been floating around the Internet forever. 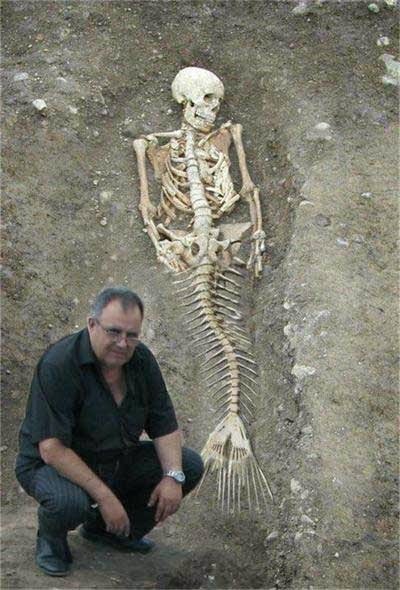 It is the "proof" that mermaids exist. Well, mermaids may indeed exist - you can't prove a negative, that they don't exist - but sadly, the pictures being floated about are not the proof. And believe me, I want mermaids to exist just as much as the next Disney fan. 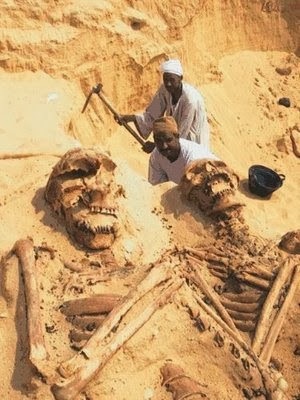 Oh, and just to get this out of the way - no, there aren't any giants being unearthed in the desert, either. Some of the attempts aren't even that clever. This one is a little more clever, but, no, it's not real. It's photoshop. 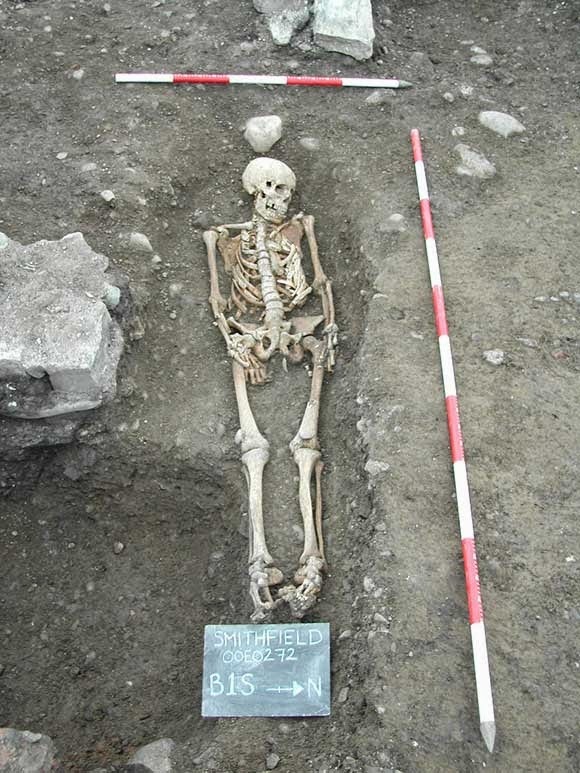 And that skull looks like something out of "Terminator." 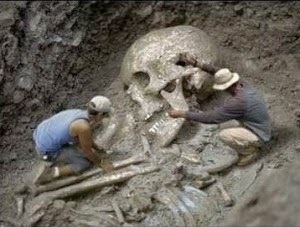 Recently there were a series of photos from excavations labeled The Sumerian Giants, which had archeologists digging out extremely large skeletal remains from rock and desert areas. These were proven to be fakes and product of a Photoshop Contest taking place on the web.